I was recently contacted by the developer of a new app in the App Store (released in June) called Note Rush. 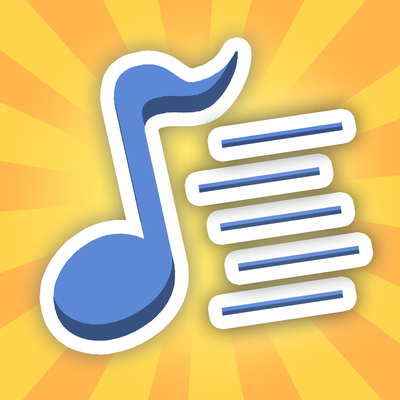 The app “gameifies” music reading by detecting the sound of an instrument versus the pitch showed on the screen. It is a universal app on both iPhone and iPad. Note Rush features three skins (ladybug, space, and soccer) and fifteen levels (five for treble clef, five for treble and bass clef, and five for bass clef). 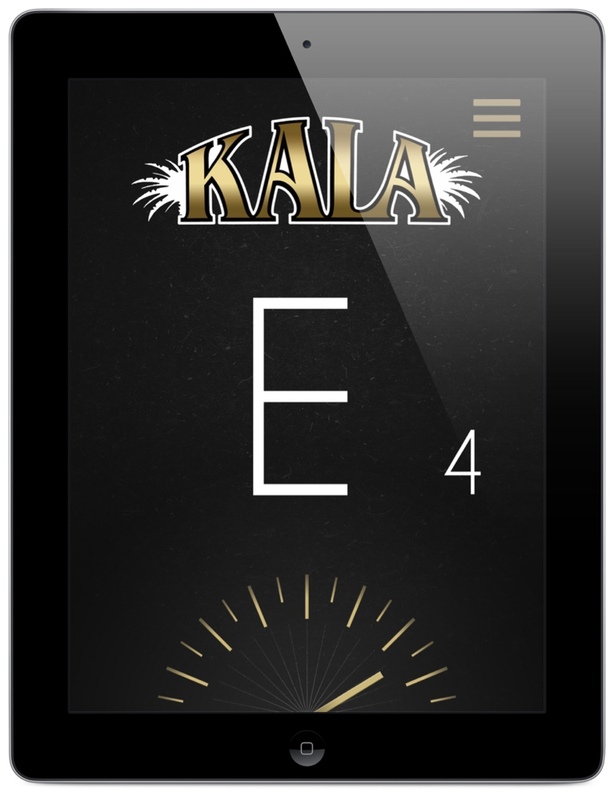 The app first asks you to play middle c, which establishes middle c for the instrument. In other words, if you have clarinet, it will SEE c, but play B-flat. This allows the program to painlessly take care of transposing instruments. Then notes come across the screen, and you play those notes. Depending on your speed (the goal is displayed), you earn stars for your effort. The app will eventually allow you to set your own parameters for your own levels, and may possibly allow users to share self-created levels with other users. 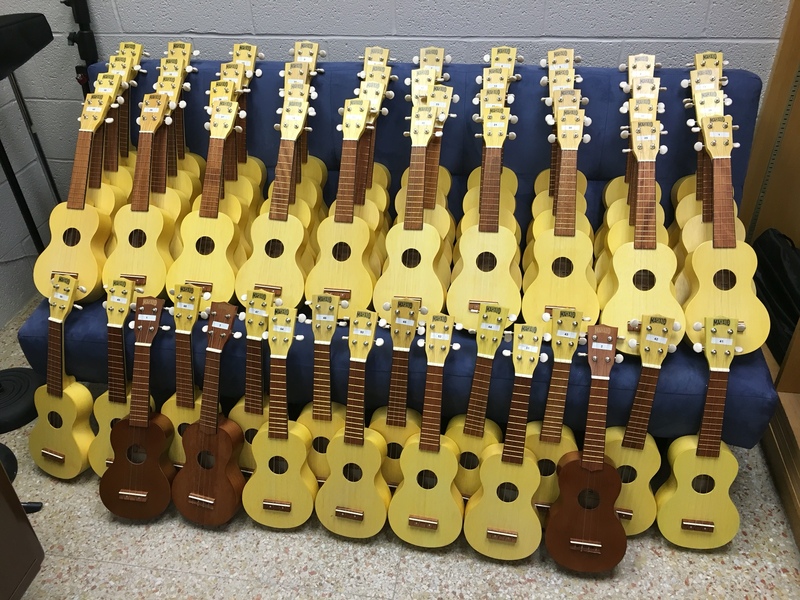 I pulled out my ukulele, and was able to work successfully through levels 1-3 on the Treble Clef area. I couldn’t go any further, as the 4th level required G below middle C. The program worked perfectly with my ukulele. The levels are geared towards pianists first, with the intent to move along rather quickly. This may not work with your instrument or how you would want to teach instruments, so the coming ability to create your own levels or to customize the game will be much appreciated. For example, I would want to make levels for ukulele using String 3 (C & D), then String 2 (E, F, an G), then Strings 2 & 3. If you are teaching beginner band, you might want to make different tests for different instruments. In summary, Note Rush is attractive and innovative in its approach to transposing instruments (you don’t have to choose an instrument). It will truly show its value for music educators in the near future when you are able to design your own challenges. 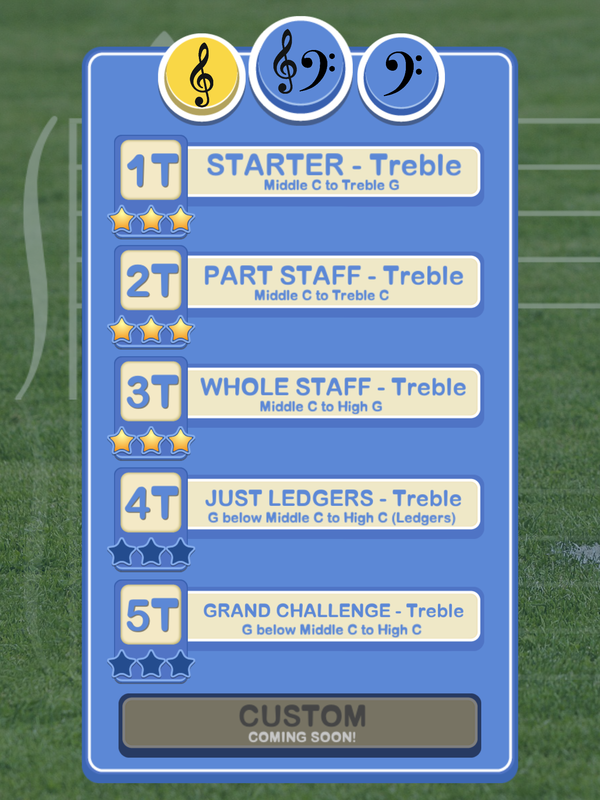 There are other apps that share the ability to assess played pitch versus printed pitch for various instruments with customized settings, such as Staff Wars Live, another app I recommend. However, Staff Wars Live only has one theme, whereas Note Rush has three skins, and Note Rush has the famous “three star” gameification which our students have been trained to crave through popular games such as Angry Birds. The app is currently (September 2016) priced at $3.99, and when customized exercises are available, will be very much worth that price. Just remember that the ability to customize levels is not yet available (again, as of September 2016). Thank you to Note Rush for a promo code, and as a reminder, when you purchase an app from a referral link, a percentage of the purchase comes back to the author out of Apple’s 30% of the sale price–the developer continues to receive their full portion of the app purchase price. 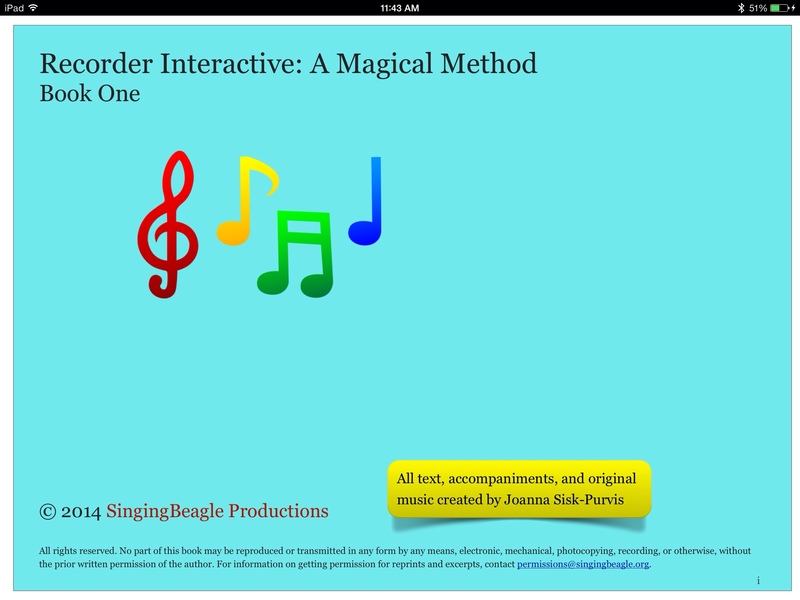 In late January, Dr. Joanna Sisk-Purvis self-published a recorder book on the iBookstore, entitled “Recorder Interactive: A Magical Method.” The book currently sells for $7.99, and includes over 30 songs. Most songs have two accompaniment tracks (recorder melody and accompaniment), and most pages have interactive material. The book is intended to teach over an octave of notes plus basic playing techniques. I love this approach, because it makes iBooks into an “app” without needing to know how to program in Objective C and Cocoa Touch computer languages (how iOS apps are created). Dr. Sisk-Purvis has done a great job in creating this book, and remember, just like the App Store, 70% of a book purchase goes back to the author (of course, as an author, you do have to report this income on your taxes at the end of the year, so a good portion of that goes to your state and local government as well). When you buy Dr. Sisk-Purvis' book, you are buying her a cup of coffee and part of a muffin. Support your independent iBook Authors! Elementary teachers who teach recorder, this is a book for you (which can be mirrored to a screnn for class use) written by a colleague! Also be sure to check out Dr. Sisk-Purvis' blog. 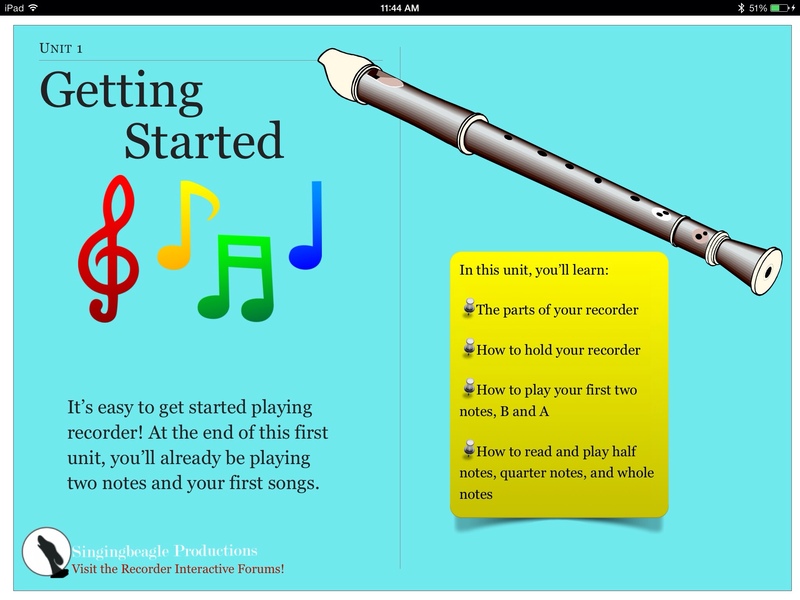 I will be listing this as a recorder resource in the (short) chapter about recorder on my book about iPads and Music Education on the iBookstore (in the next update which I have not yet started–I am waiting for a bit more new material before starting the update). If you are new to techinmusiced.com, welcome! 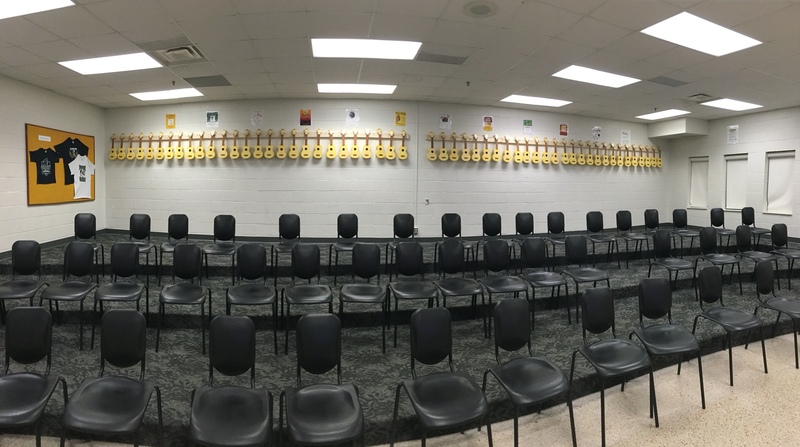 This blog is a free resource for music educators of all kinds as they attempt to bring technology into their teaching. The blog does generate some revenue–when you buy an app from a referral link on techinmusiced.com, a percentage of the app’s (normal) purchase price comes back to the me; and if you buy any of my iBooks from the iBookstore, income is also generated that way. My goal is to remove WordPress’s advertising so that the blog is advertisement-free–something I hope to be able to do through app referral commissions. I want to keep true advertisements off this blog. On the right hand side of the blog, you will see a number of blog links to other music educators who blog. If you know of a blog that should be listed, but isn’t, please send me an e-mail! I am presenting two sessions at the Music Education Symposium today. The first is a session on using iPads in General Music. The second (presented twice) is a session all about apps. The PDF from the session in General Music appears below in PDF format. As a disclaimer, I am not an elementary teacher–and as a result, I have made sure to examine the work of other prominent music educators who use technology at the elementary level. My favorite part of this presentation occurs towards the end where I refer to some of the strategies currently being employed by six elementary music teachers across the country. I had the opportunity to present three sessions on the iPad at the PCAE Music Education Technology Workshop today. As always, if you have questions, please feel free to send me an e-mail (address is on the right hand side of the blog). The third presentation was a how-to, based around three apps (forScore, Noteshelf, and Keynote). forScore is representative of all the PDF music readers and has the most features (followed closely by unrealBook). Noteshelf is the best handwriting app for musicians (built-in staff paper templates). Keynote is a wonderful presentation application with only two areas of weakness: there is no way to write on slides as you present, and you cannot embed audio).